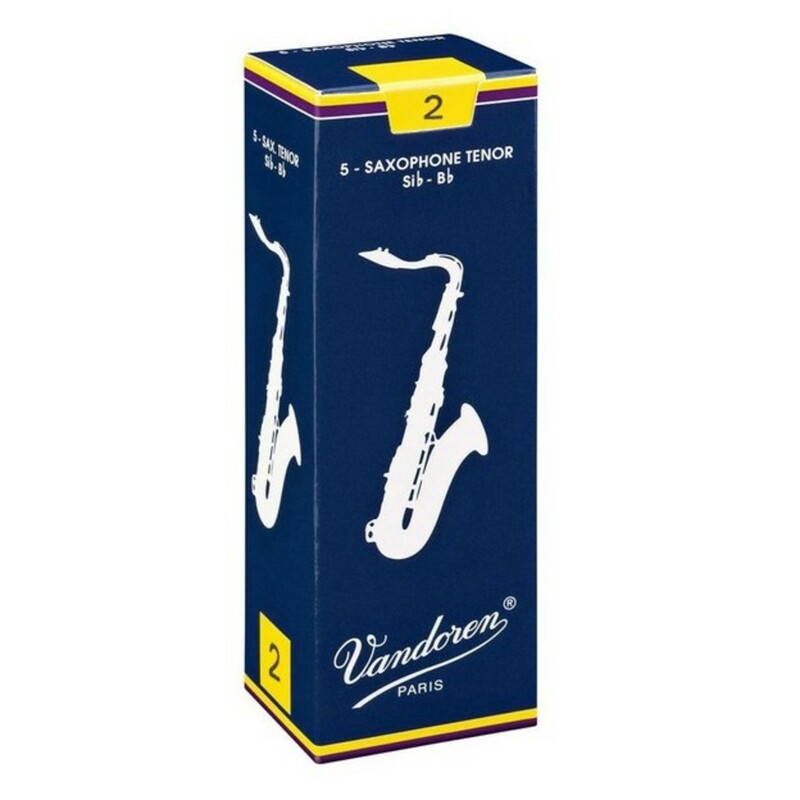 The Vandoren Tenor Saxophone Reeds are traditional reeds designed to produce an extremely pure sound due to a very thin reed tip (the area of reed with maximum vibration), balanced by a solid vertebral column (more cane in the area which climbs gradually to the heel). Traditional reeds feature the thinnest tip with the thickest heart, resulting in crisp articulation with a full, dark sound. For more information please view the PDF document below. Picture for reference only.